Earlier this summer, to promote the Avengers movie, Post-It Notes released their templates for the Avengers. I had seen these on my friend Gregory’s Facebook page, and my first thought was that I could make these out of LEGO bricks. Every day for a week, I unveiled one of the designs on Facebook. The only problem was the price of purple LEGO bricks, so I was forced to replace the Hawkeye from the templates with a more movie accurate one. 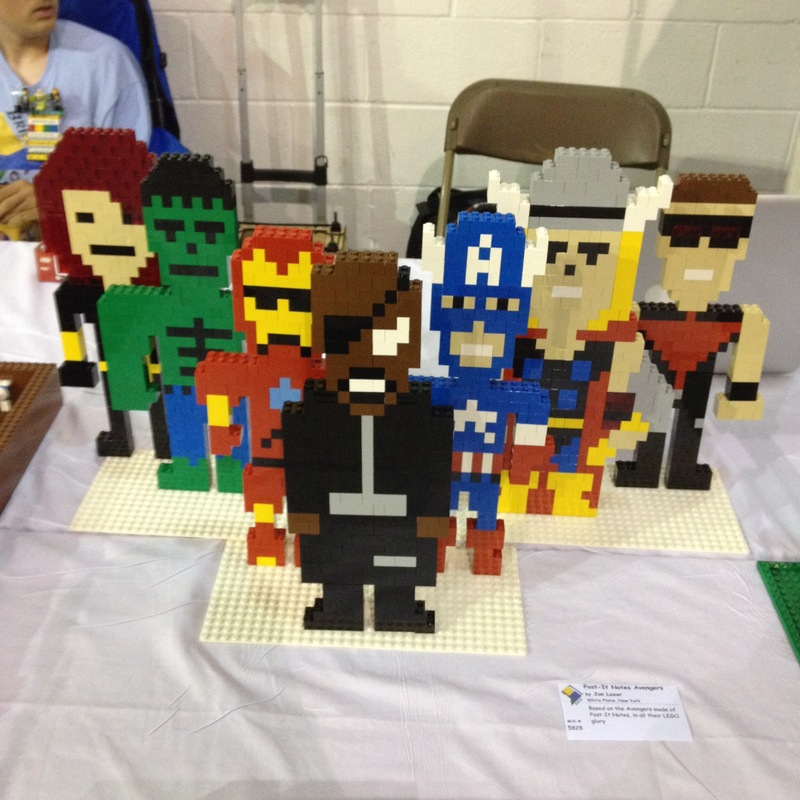 The Assembled Avengers were displayed for the first time at BrickFair at the beginning of August, where it was well received by comic book and movie fans of all ages. I finally received my LUGBULK allotment this weekend, including the purple and dark blue bricks I had been waiting for, so I could finally construct Hawkeye as he is supposed to look in the comic books and the Post-It Note Template. Once he was completed, the Post-It Note Avengers were finally assembled.